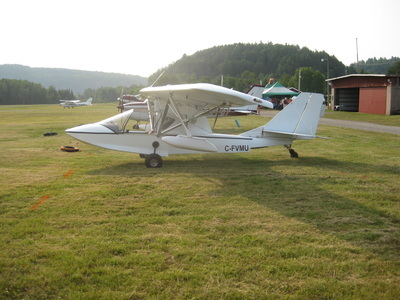 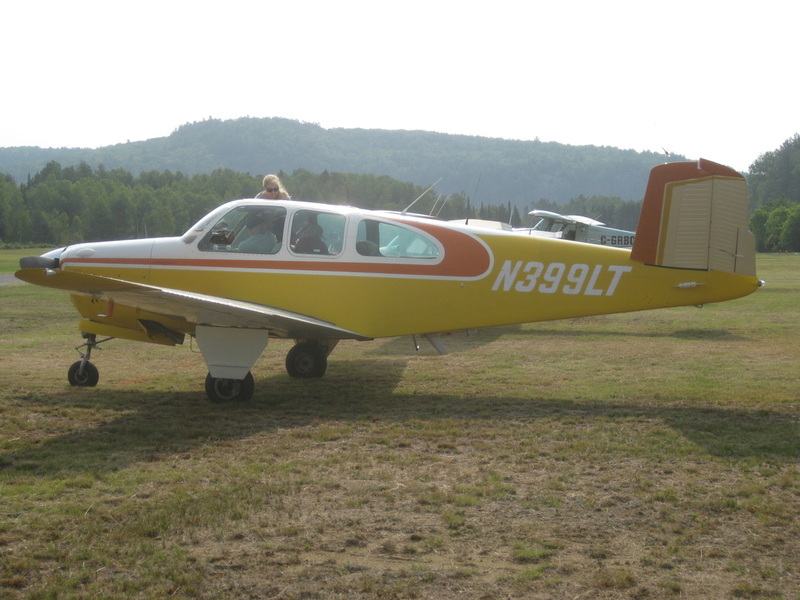 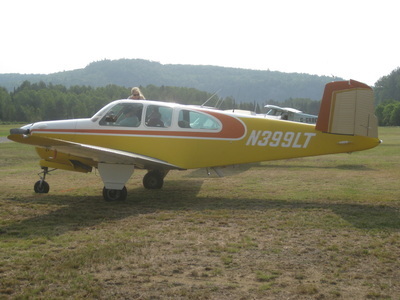 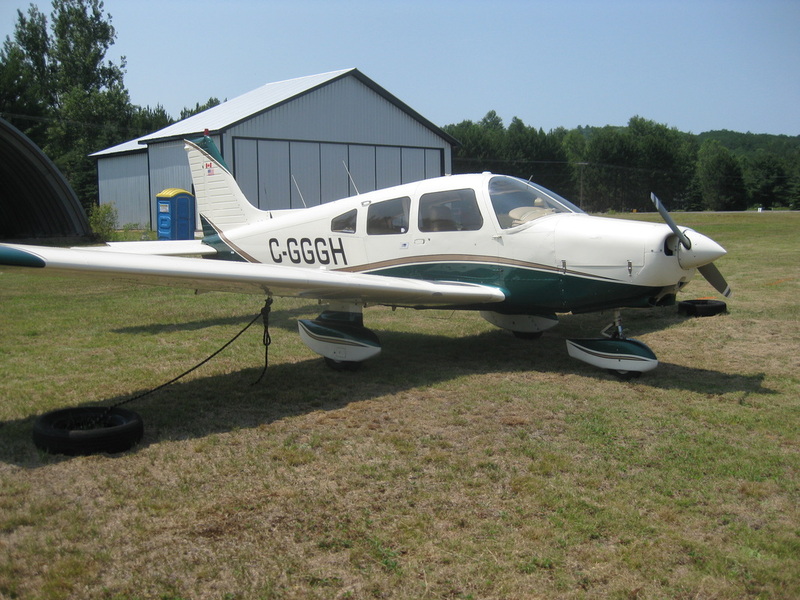 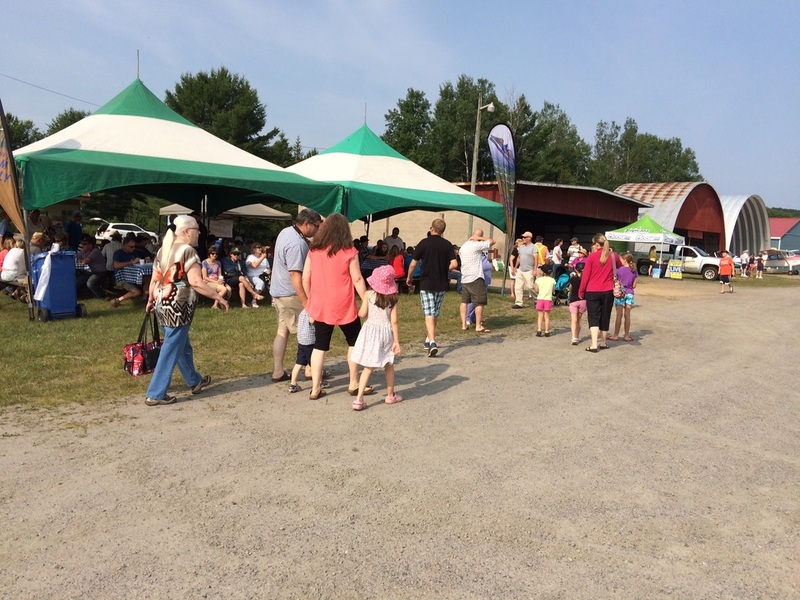 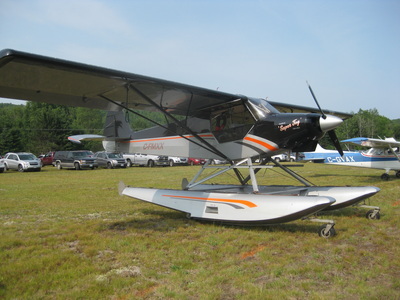 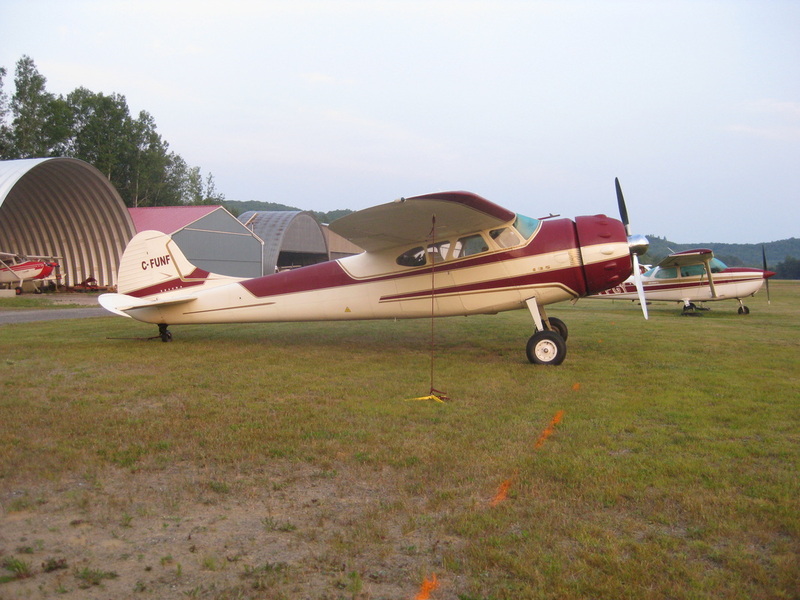 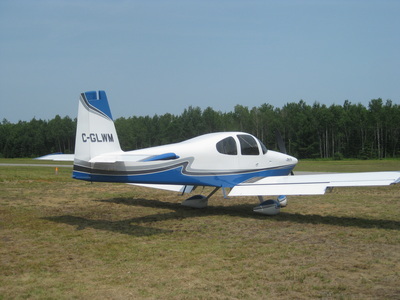 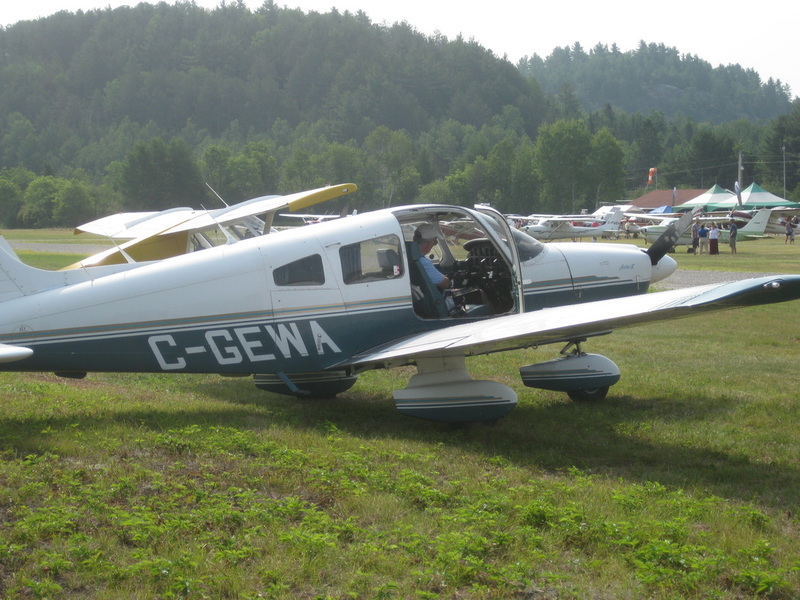 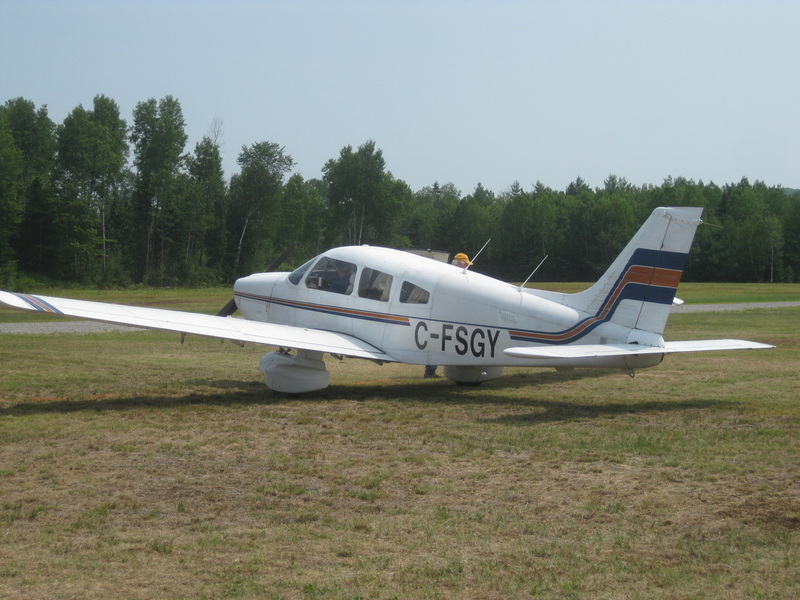 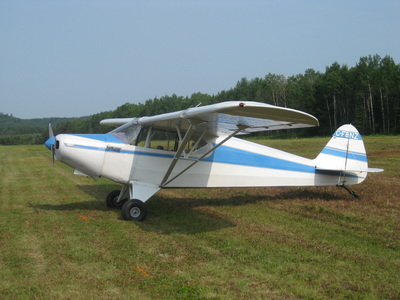 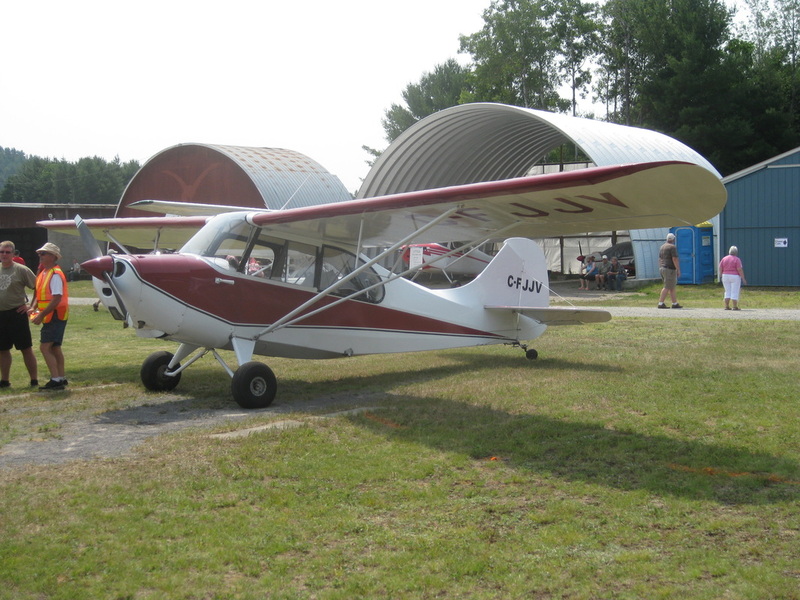 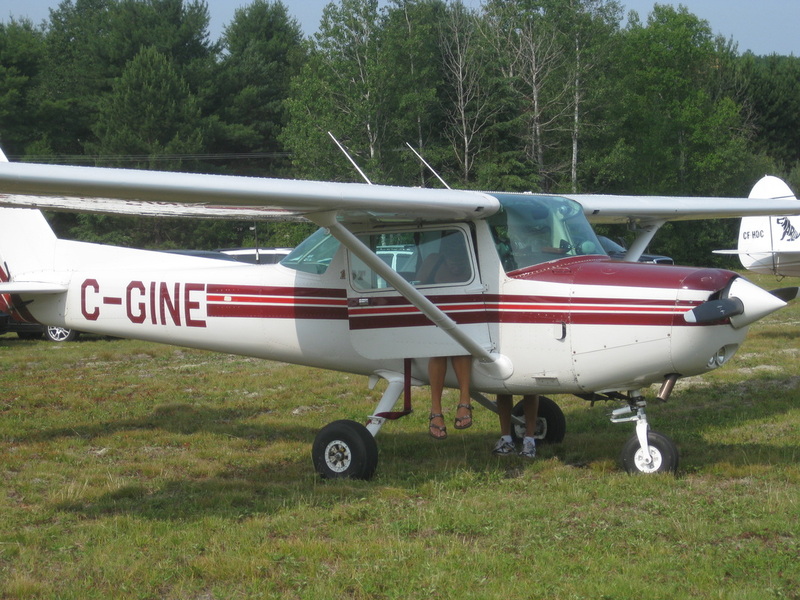 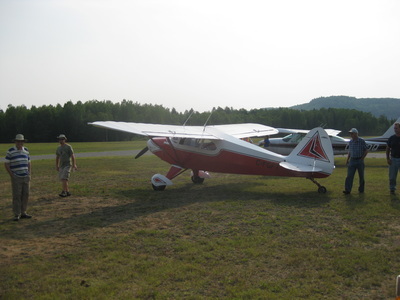 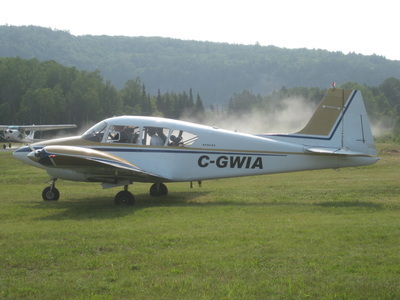 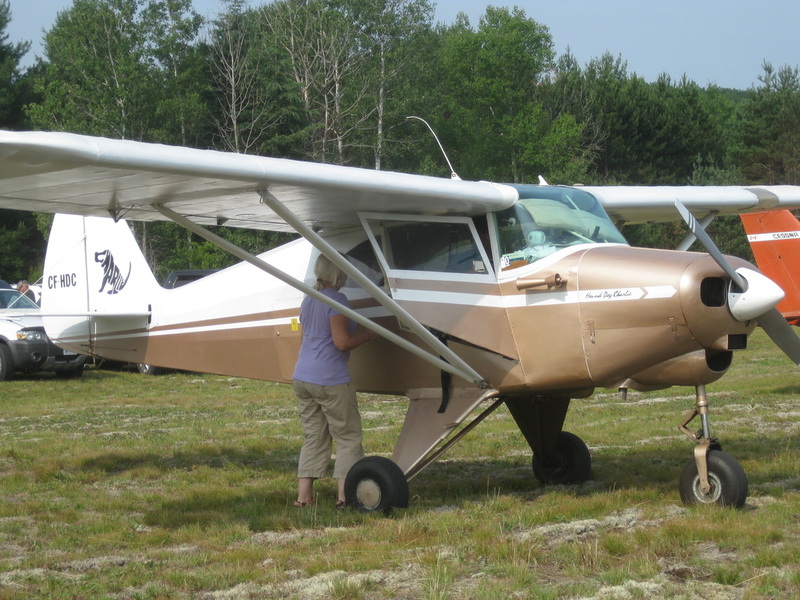 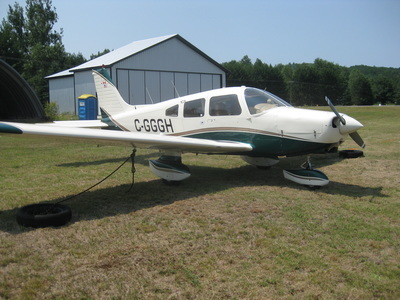 The Bancroft Flying Club held it's annual Fly In Pancake Breakfast at the Bancroft Community Airport on Sunday, July 12th. 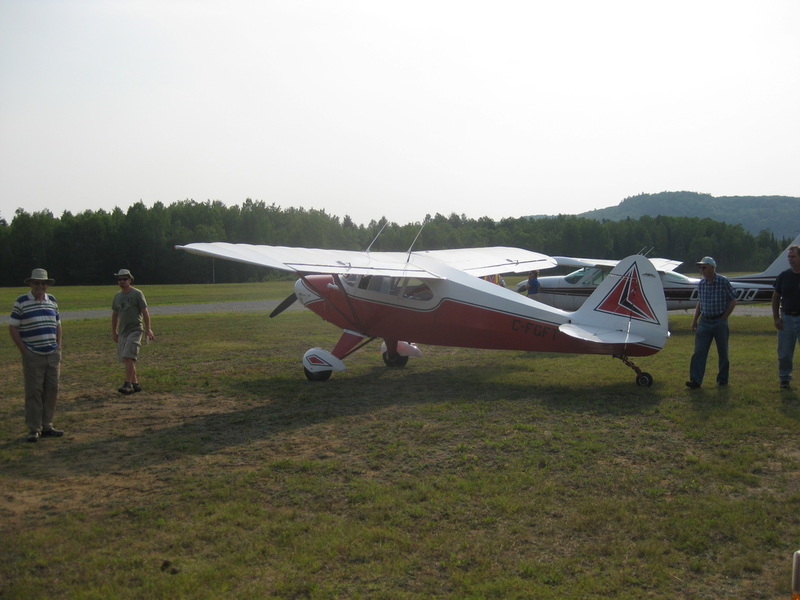 The weather could have not been better. 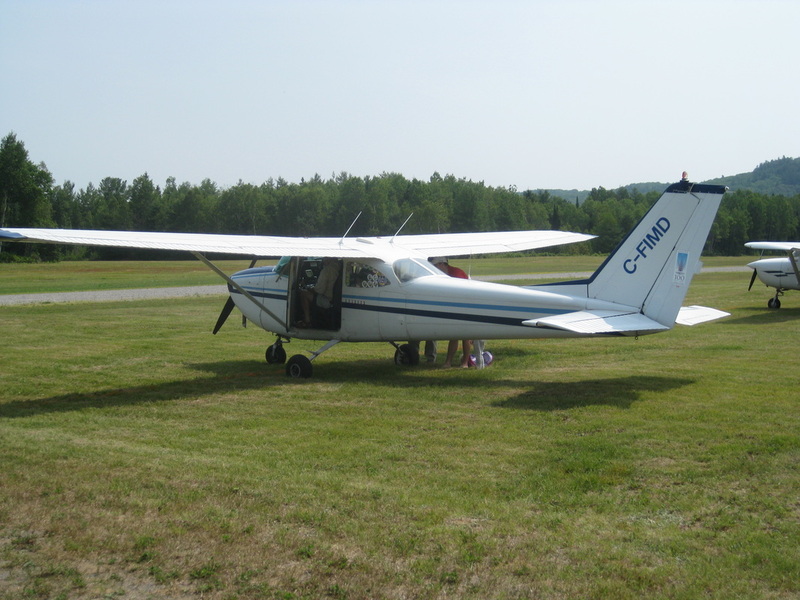 We had over 50 aircraft fly in, 640 people were served breakfast and consumed 31 litres of maple syrup. W.M. 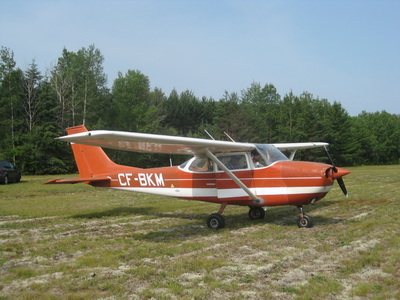 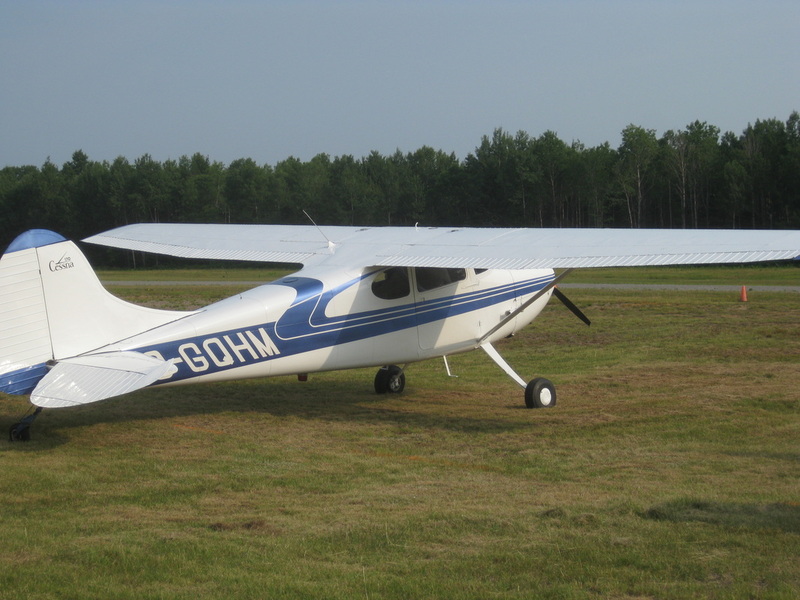 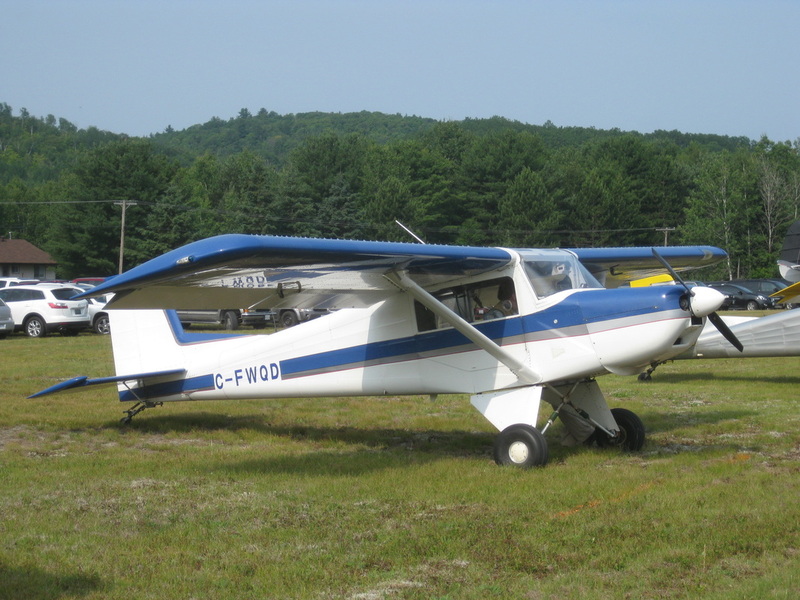 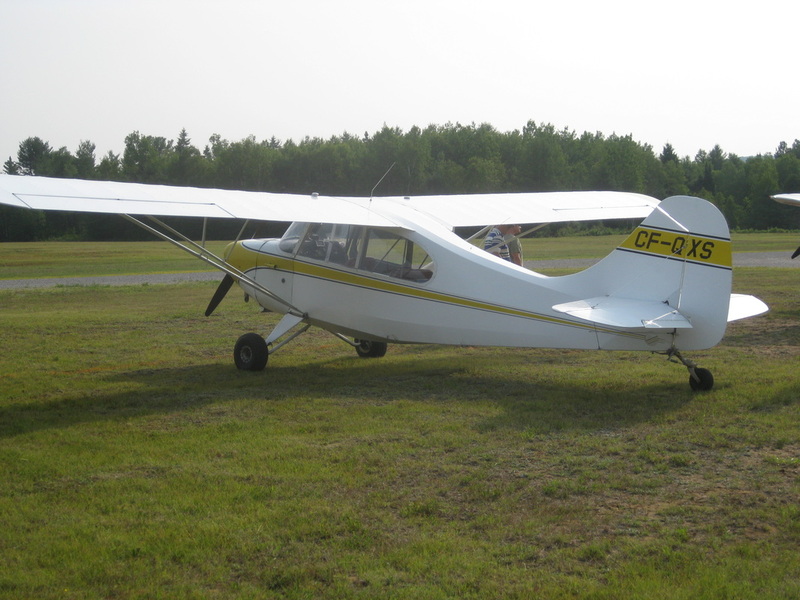 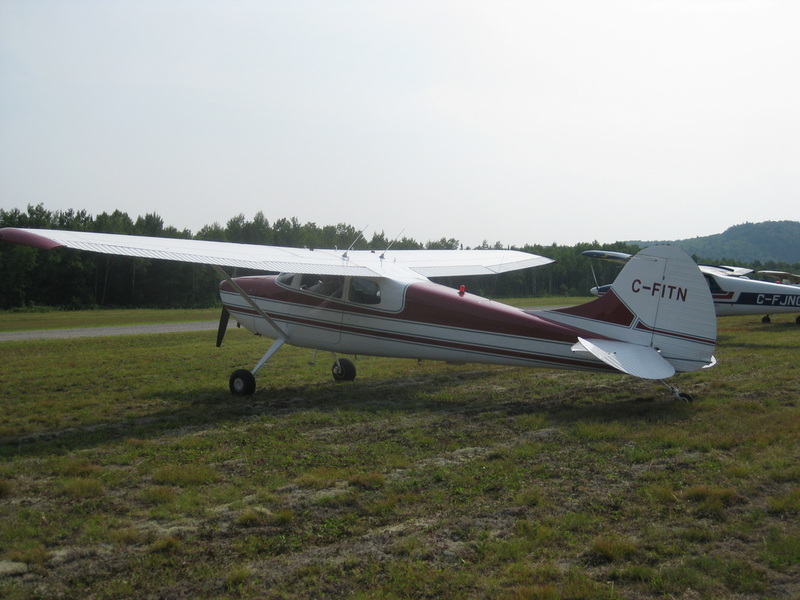 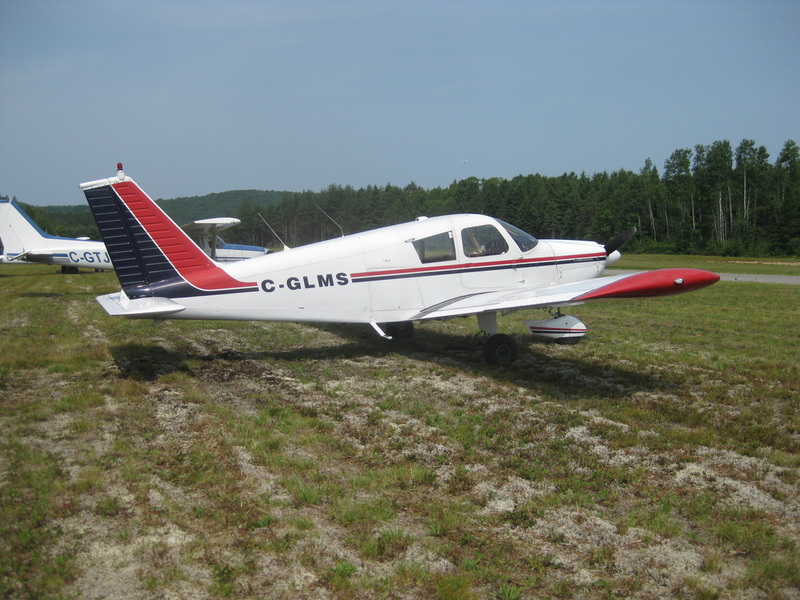 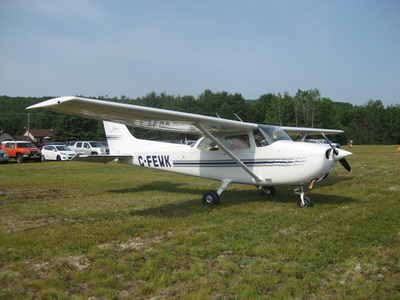 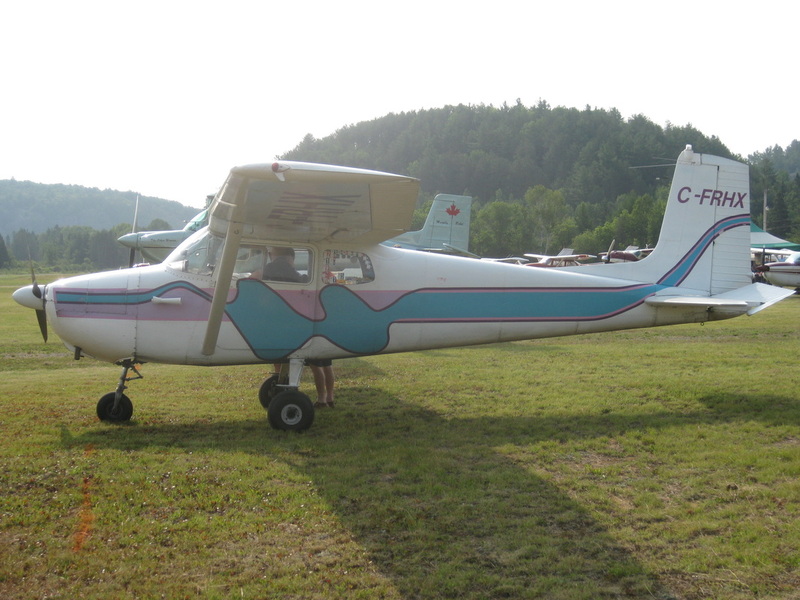 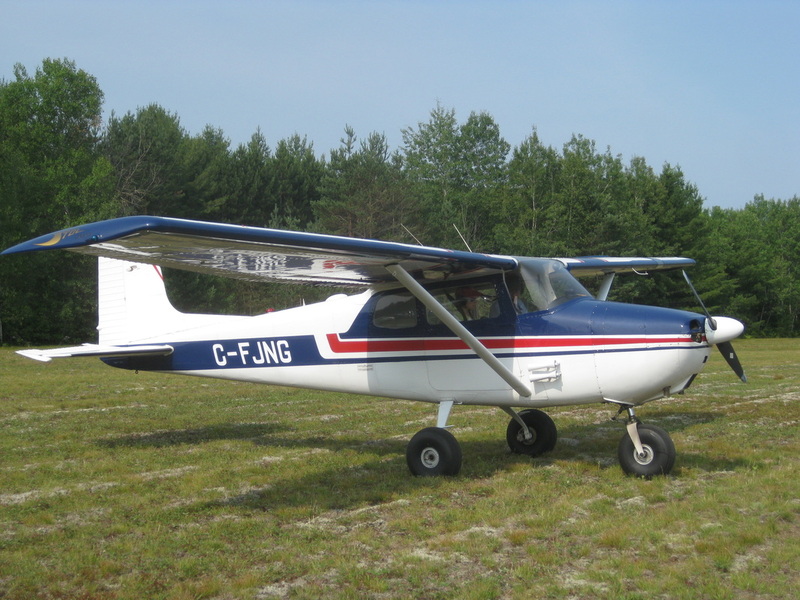 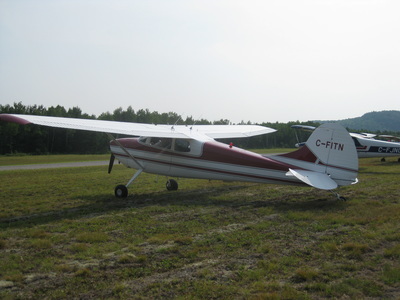 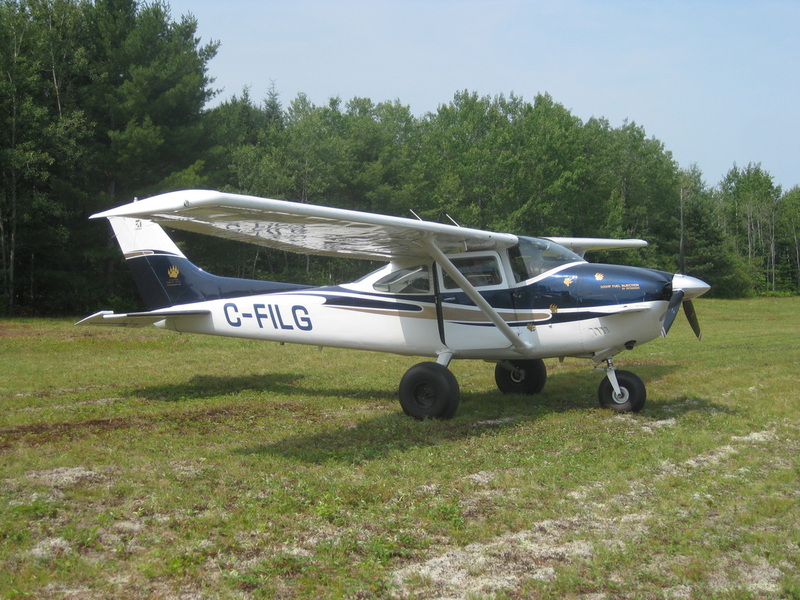 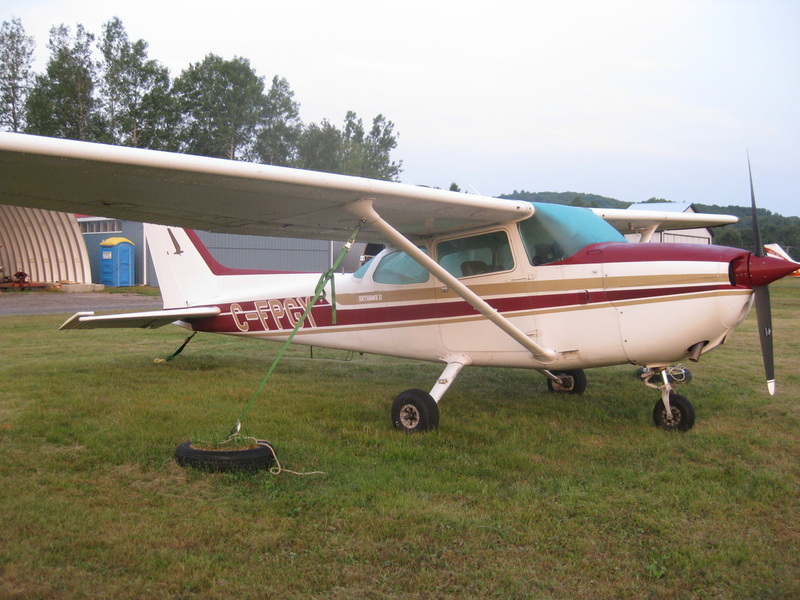 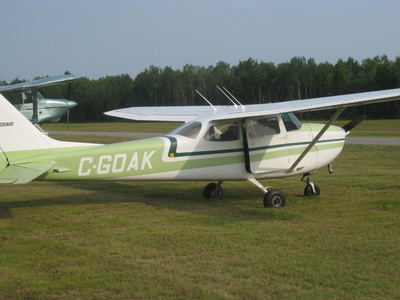 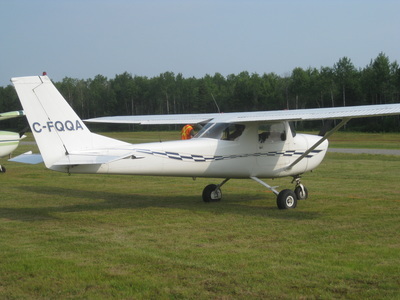 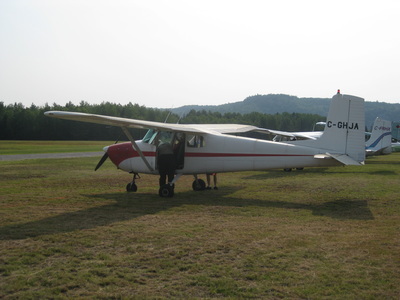 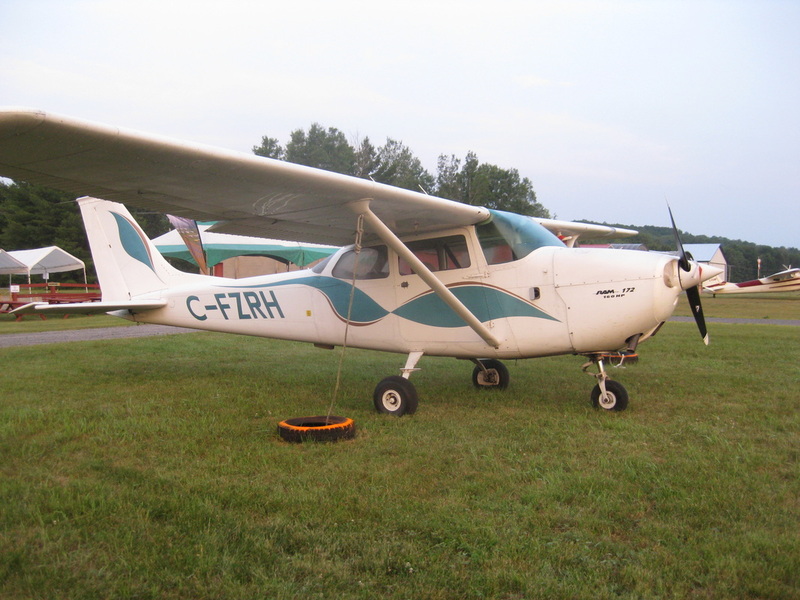 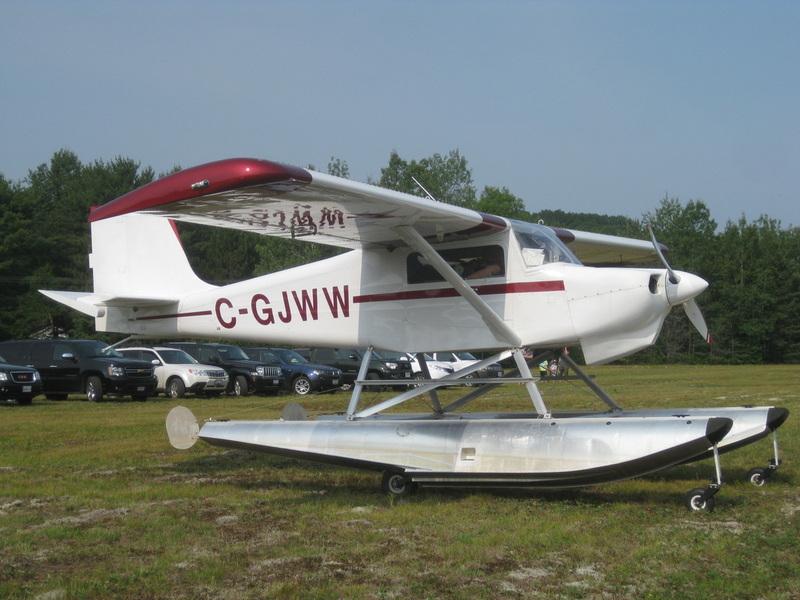 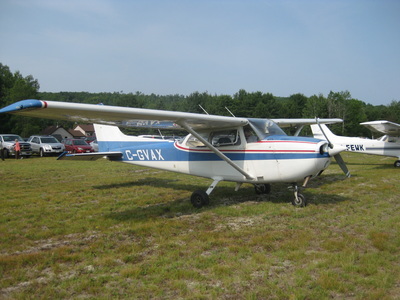 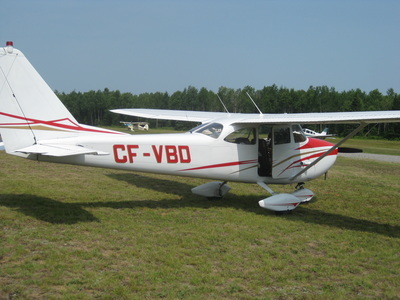 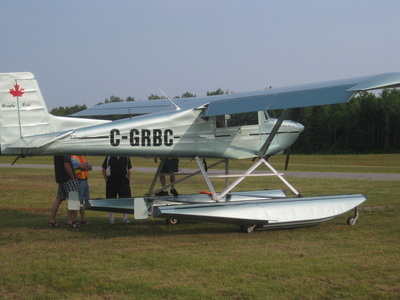 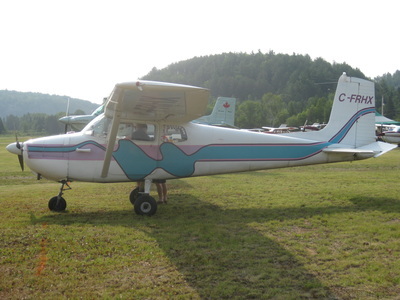 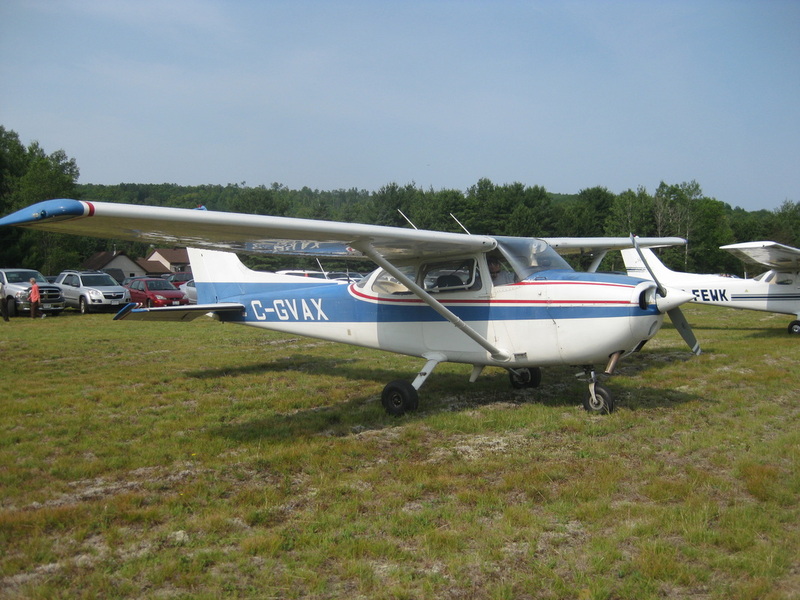 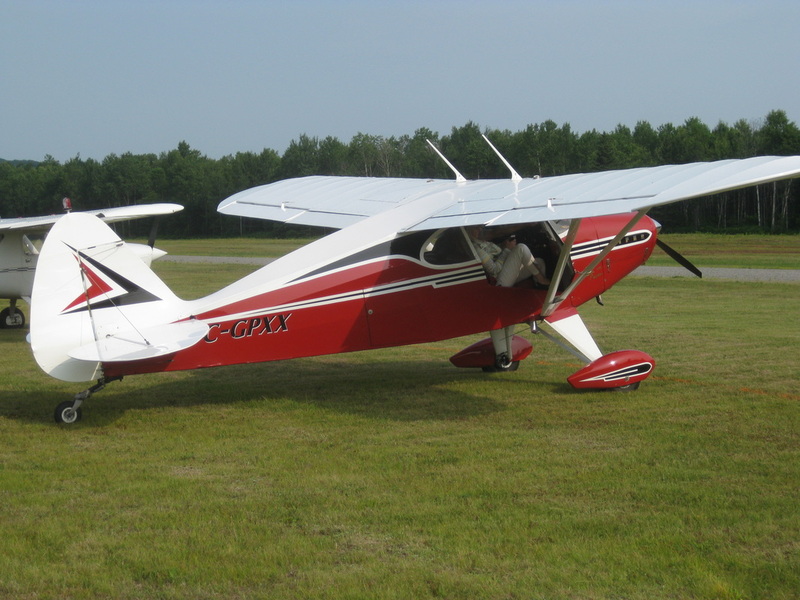 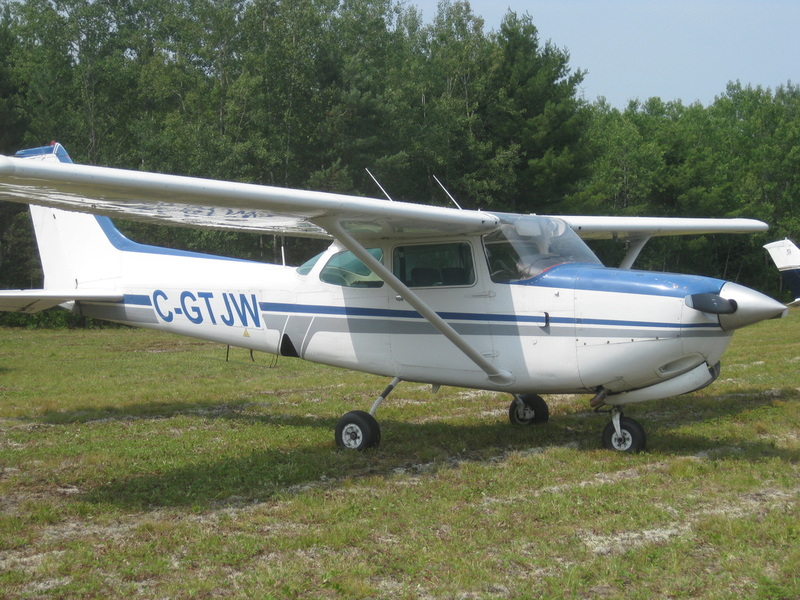 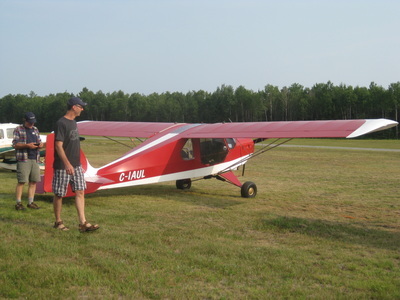 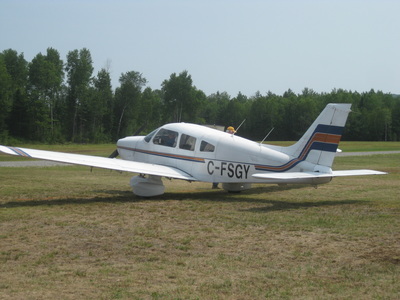 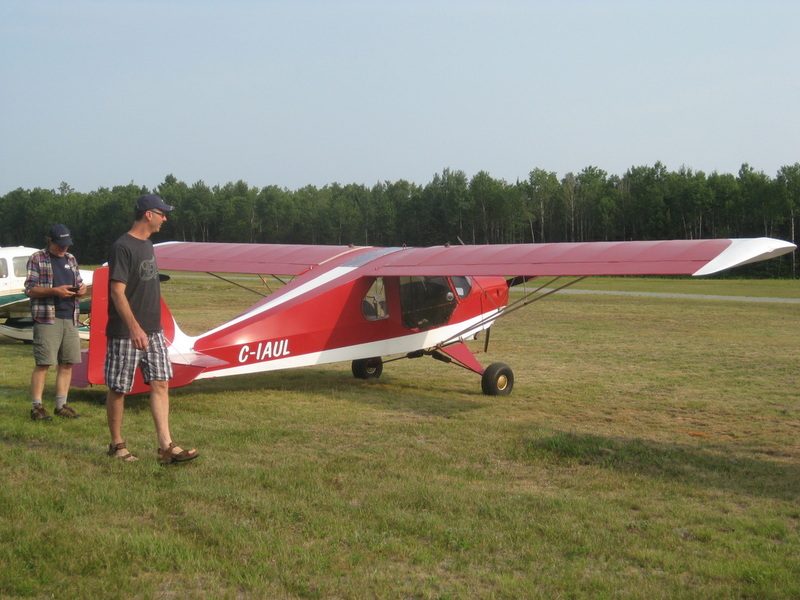 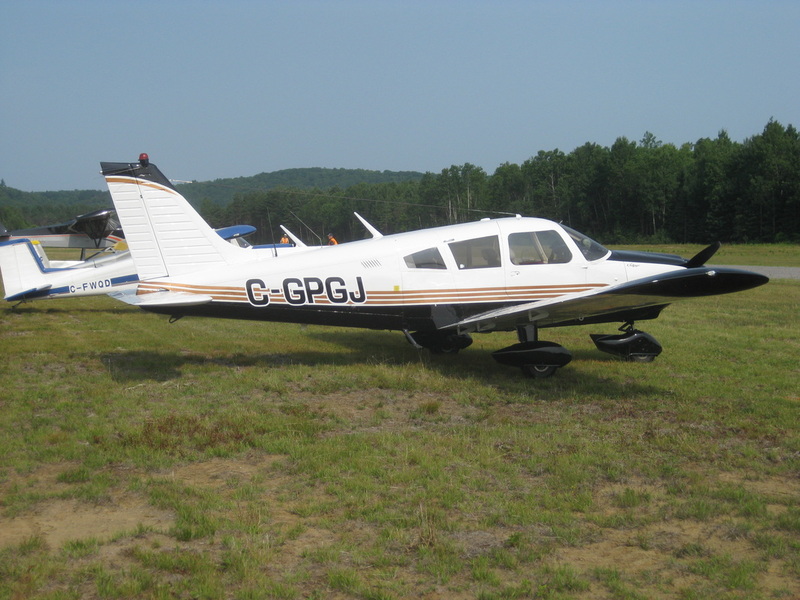 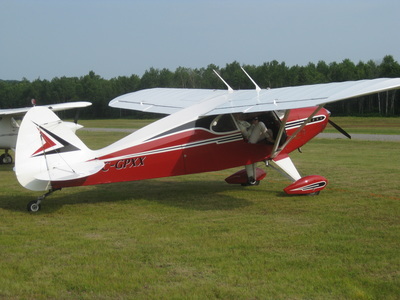 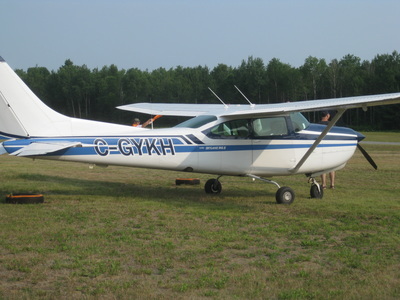 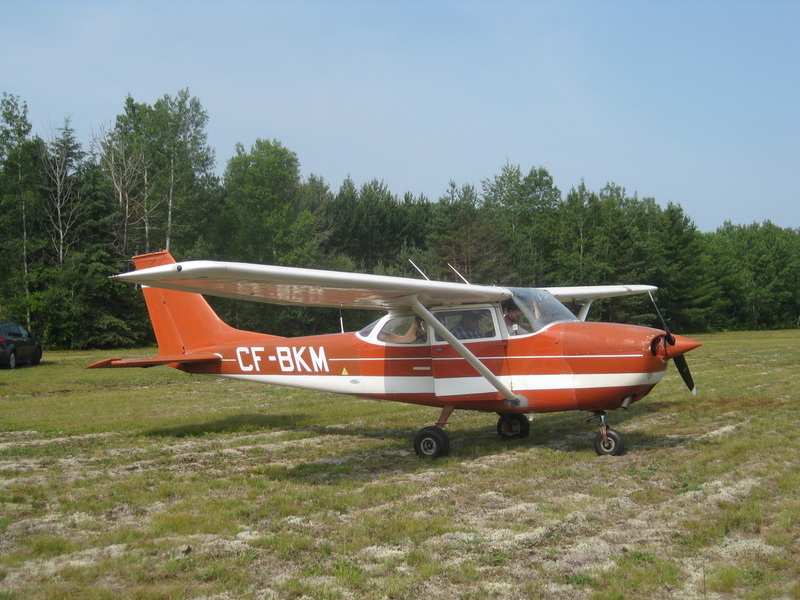 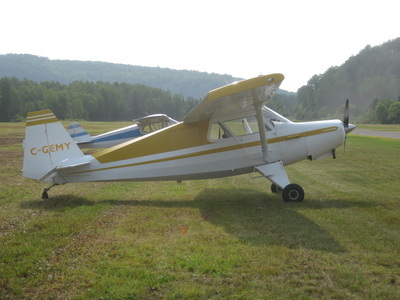 Aeroflight from Peterborough kept their two (2) Cessna 172's flying all day Saturday and Sunday conducting 42 site seeing flights around Bancroft. Car parking was provided on airport property for the first time and was very well received. There was also dedicated handicap parking and motorcycle parking. 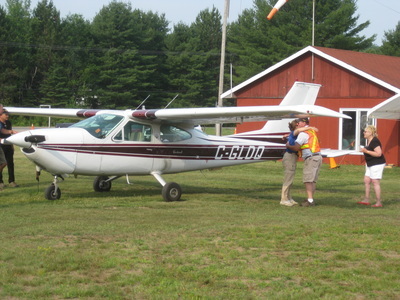 The dedicated food line for fly in pilots and their passengers was also well received with little or no wait time for food. 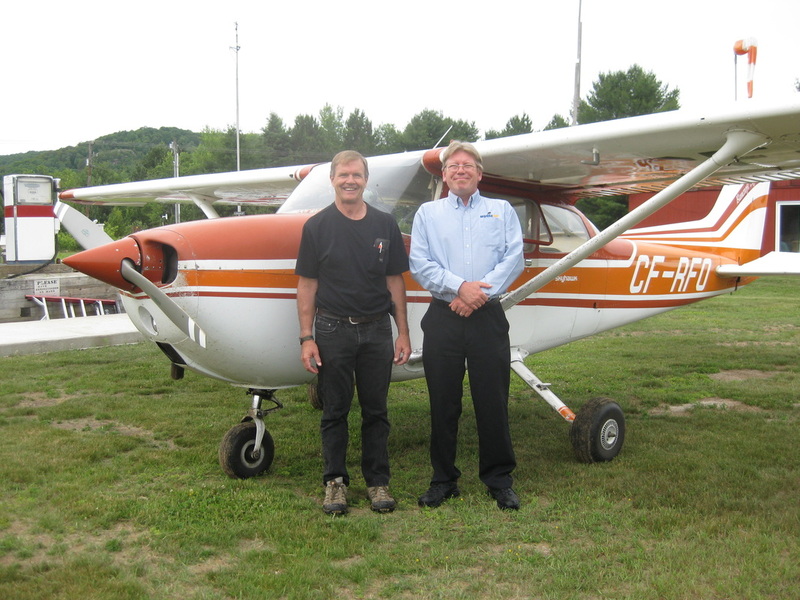 Check out the July 2015 edition of Canadian Aviator magazine. 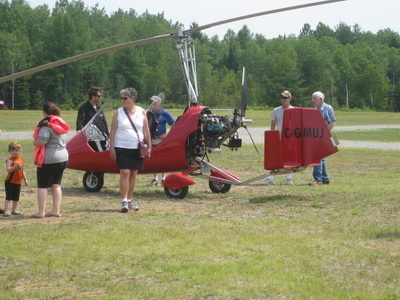 There is a great article there written by Peter Lubig on our annual fly in pancake breakfast. 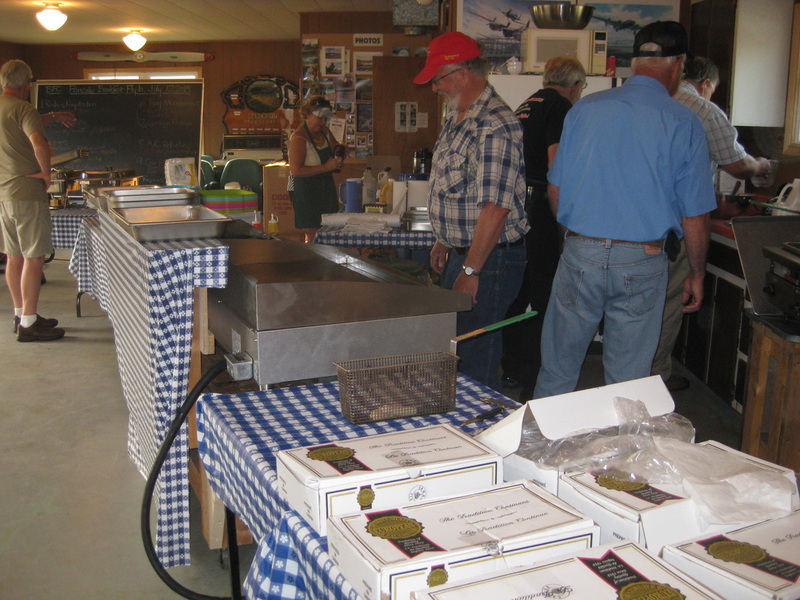 Cooks firing up the dual 36 inch electric grills. 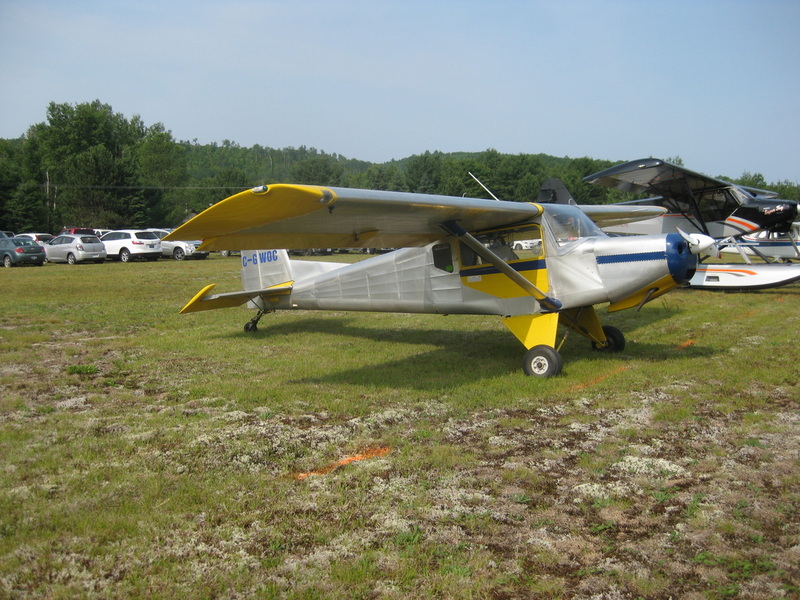 Plenty of parking was available on the field for all who came. 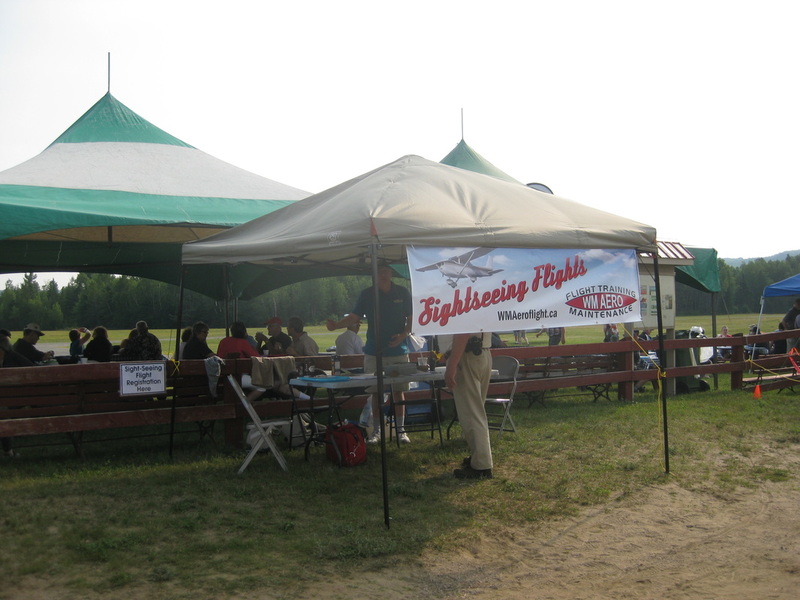 WM AeroFlight booth signing up for site seeing flights in their Cessna 172's. Jackie Dixon, announcer with local radio station Moose FM (97.7) and Bancroft Flying Club Director Kim Dunford prepare for a flight over Bancroft. Field Marshal Gaudreau providing support for workers and fly in guests. 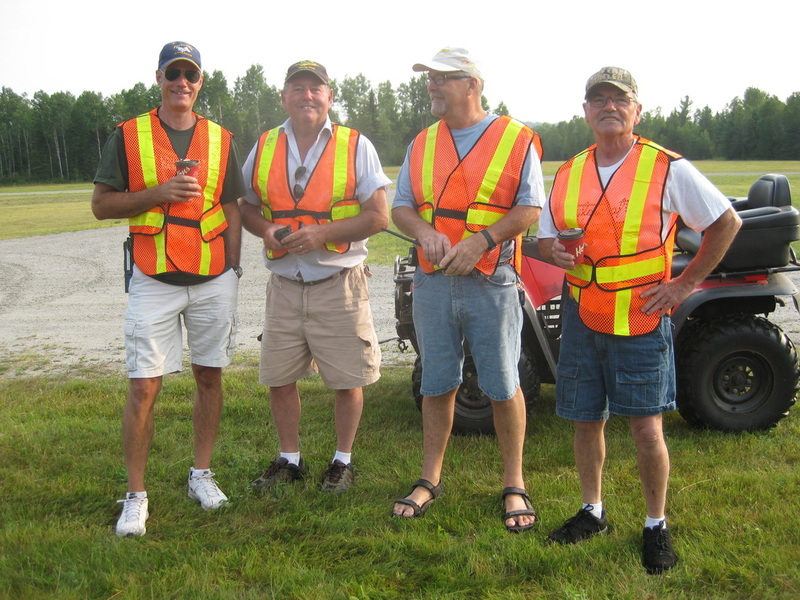 Some of our friendly aircraft marshaling crew. 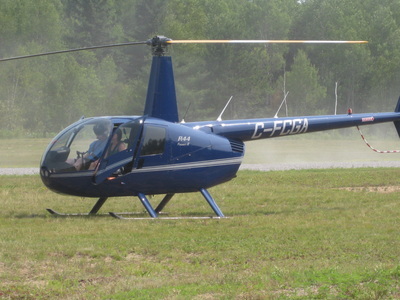 Bancroft Fire Department were on hand, but fortunately were not needed. Autogyro from Brampton. 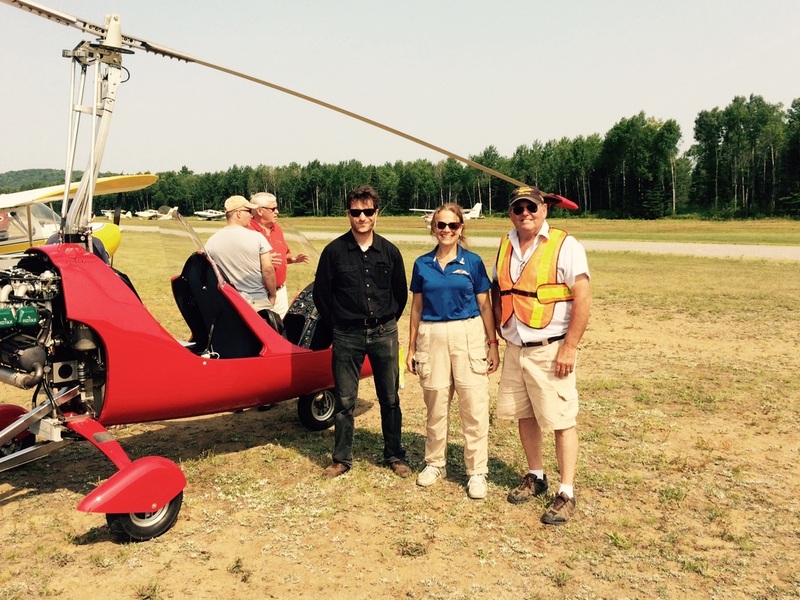 Pilot, Sergey Kislyuk (left); COPA Director, Cheryl Marek (centre) and BFC Vice President Pat Murdock (right).